This week, Logistics Plus employees at multiple offices competed in two holiday-themed contests. 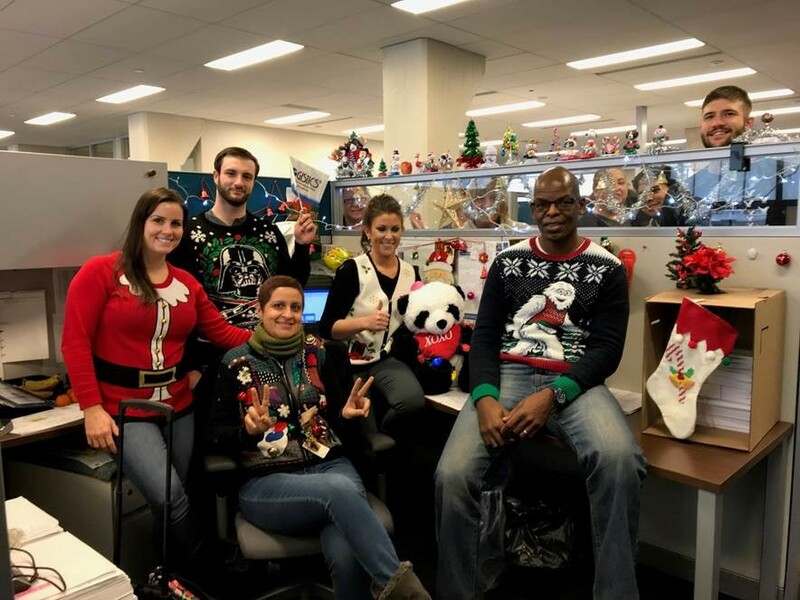 The first contest was to determine the best holiday sweater; and the winner was Angela Garcia from the Logistics Plus Ontario, CA office. The second contest was for the best holiday-decorated door; and the winner was the NTL team located at the Logistics Plus global headquarters in Erie, PA.
A total of five (5) categories were judged including: Best Holiday Spirit, Originality, Visual Impact, Completeness, and Best Use of a Door. A special thank you to everyone at our Erie, Dallas, Ontario, Charleston, and Mexico offices who participated and made this such a fun and special event. All the pictures from the contests can be seen below or on the Logistics Plus Flickr page.